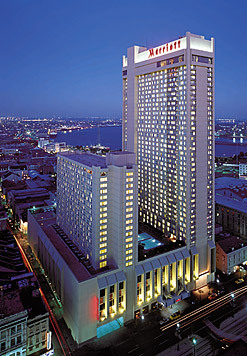 Join DRI in a city world renowned for its charm and hospitality for DRI's 2012 Annual Meeting-October 24-28, 2012 at the New Orleans Marriott in in the beautiful Crescent City. French and Spanish influences make New Orleans uniquely unforgettable. Enjoy spicy Creole and Cajun cuisine, its famous jazz and blues, incredible architecture, and fascinating tales of French Quarter heroes and heroines. Don't miss this opportunity to experience a city full of life, attend stellar education programs and visit with friends and colleagues, new and old. Visit DRI's website for more information.